Group show and 1 year collaboration amongst the participating artists, a curator and a writer. The exhibition and collaboration was initiated by Mo Maja Moesgaard. The group wanted to strengthen and create collective structures within and across individual practices. The group wanted to create a structure based on collectivity rather that individuality and competition, which seems to characterise society at large and the art world in particular. The show took place at Tistrup in Jutland, Denmark - the home town of participating artist Mo Moesgaard who initiated the project and invited the others to participate. 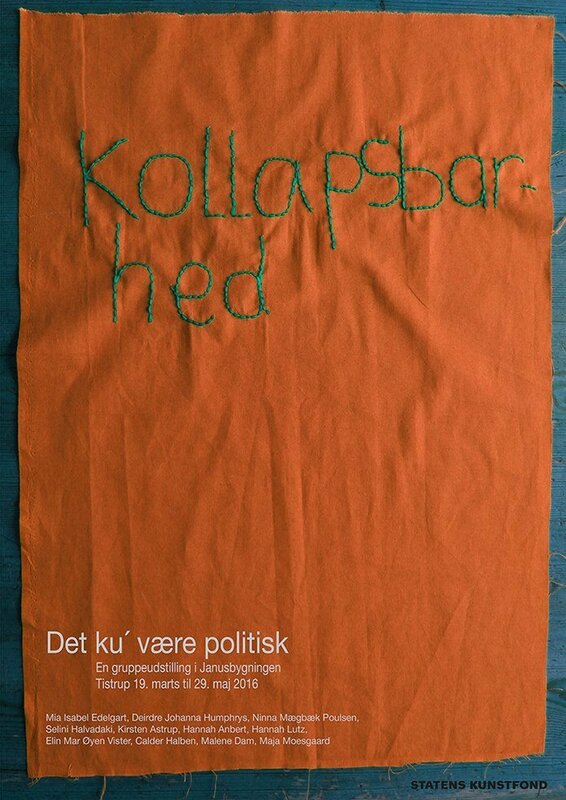 Participating artists: Mo Maja Moesgaard, Mia Isabel Edelgart, Deirdre Johanna Humphrys, Ninna Poulsen, Selini Halvadaki, Hannah Anbert, Elin Øyen Vister, Calder Halben, Kirsten Astrup, writer Hannah Lutz and curator Malene Dam.